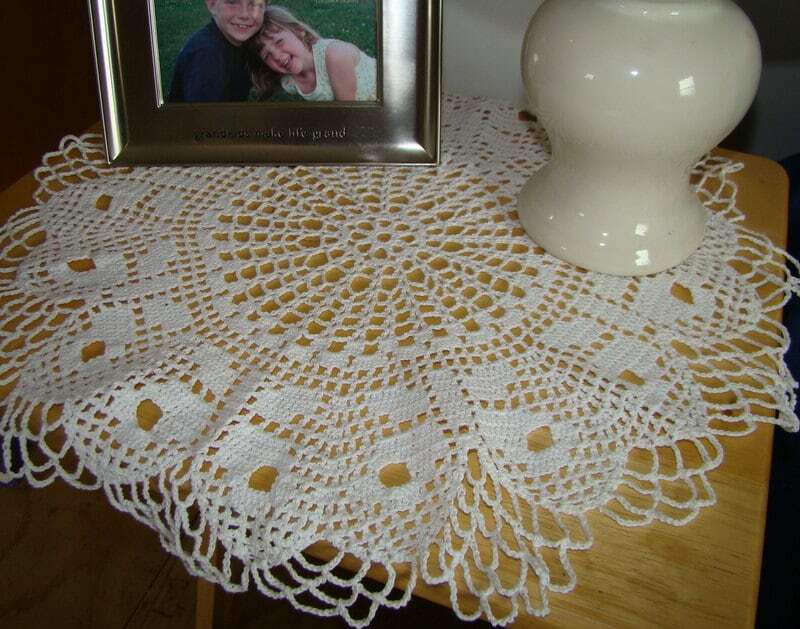 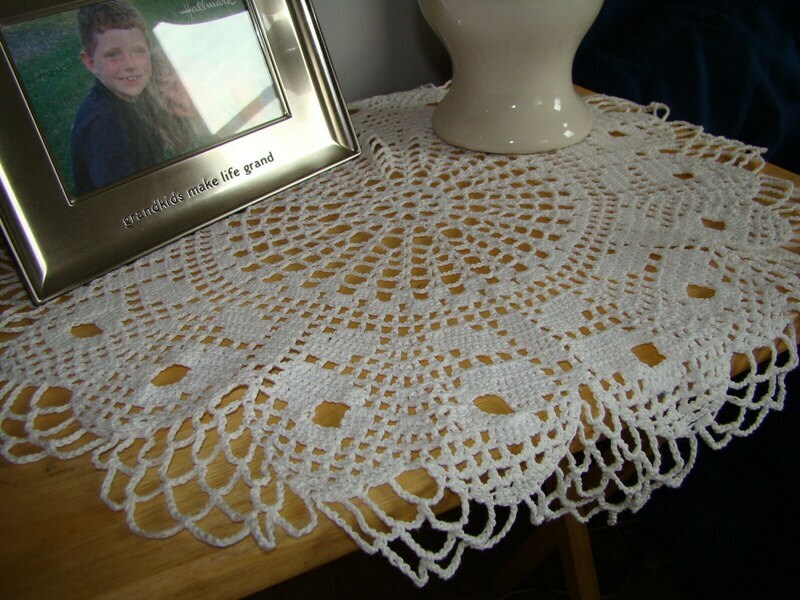 A lovely handmade white crochet doily beautiful enough to dress up your nightstand or bedside table. 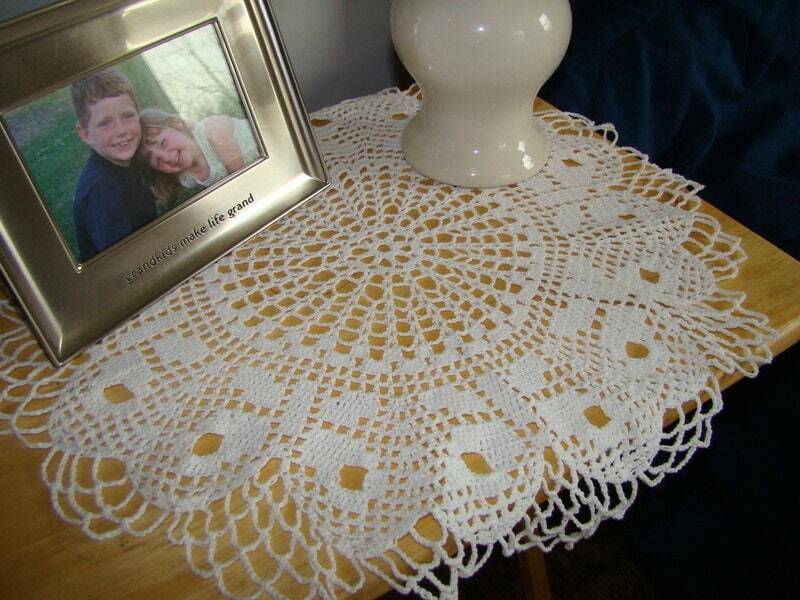 Just the thing to give your guest bedroom that tough of elegance. 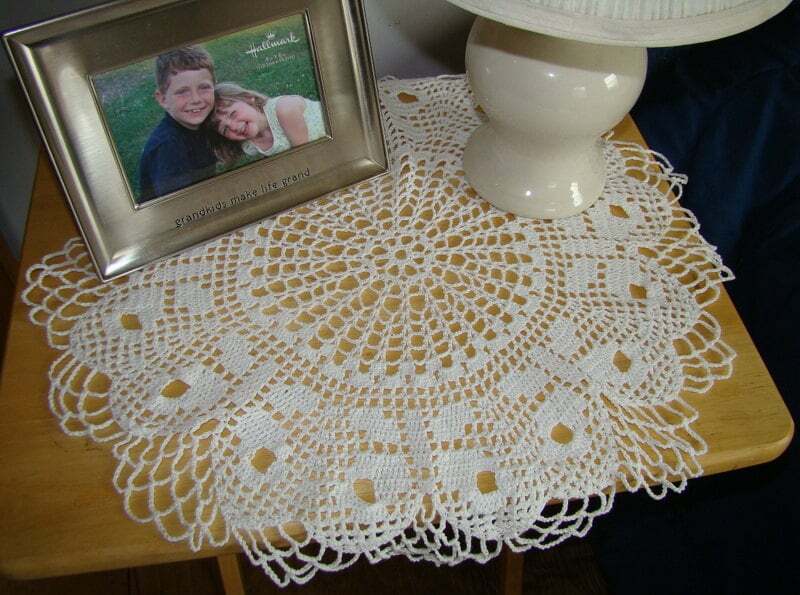 Crocheted in white cotton, this piece can be made in any color to match your decor.